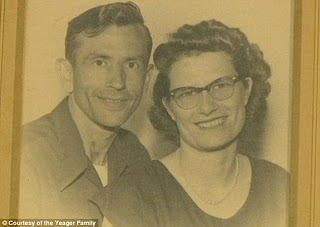 An American couple who had been married for 72 years, died one hour apart last week in hospital as they held hands. 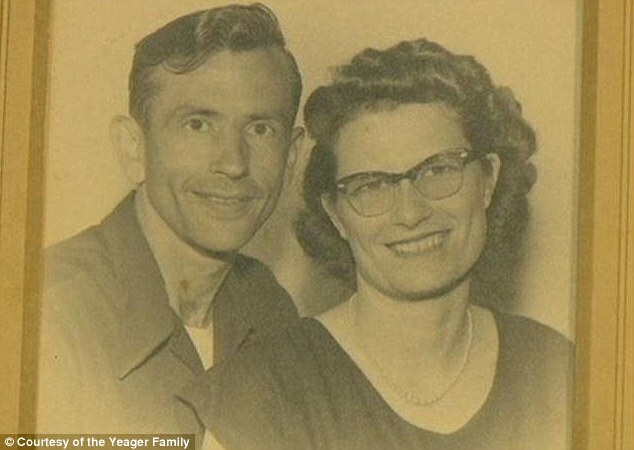 The story of Iowa natives Gordon, 94, and Norma Yeager, 90, seems a real-life love story. Their son Dennis Yeager said "They're very old-fashioned. They believed in marriage till death do you part, they just loved being together ”. Dennis describes how the couple left home to go into town, but didn't make it. At a highway intersection they crashed their car into another. Apparently in the intensive care unit, the nurses knew not to separate Gordon and Norma. Gordon died at 3:38 pm still holding hands with his wife while their family looked on. "Neither one of them would've wanted to be without each other. I couldn't figure out how it was going to work," said a family member. "We were very blessed, honestly, that they went this way." At their funeral service, Norma and Gordon continued to hold hands in their casket. They were to be cremated and their ashes mixed together. The inseparable couple got engaged and married within 12 hours on May 26, 1939 - the same day Norma Yeager graduated from high school. A family member said "All their life has been together, so, when it came to the funeral home, we asked, 'Can we have them put in the casket together holding hands?' Because that's the way their life was."